Dacroydes edulis (G. Don) HJ Lam is a multipurpose tree that provides a dual function of strengthening food security and carbon sequestration in rural environments. 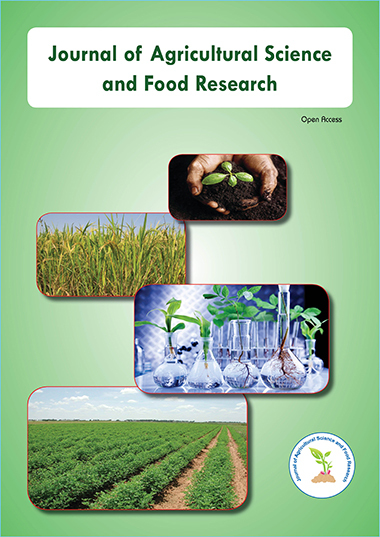 The aim of the study was to investigate the agroforestry potential of D. edulis in south western Nigeria and the objective was to access the phytosociology and determine the vegetative propagation strength of D. edulis with the view to provide baseline information of its suitability for multi species agroforestry innovation and improve the sustainability of human livelihood in Nigeria. This study was carried out in the Akinyele and North West local government areas in Ibadan. An extensive field survey was carried out in the study areas, all compound farms, home gardens and forests were visited in the area. The data were collected on D. edulis by enumerating all the species and by identifying and enumerating the plant species associated with the subject tree (D. edulis). Statistical analysis was done using percentages and charts. For the propagation study, two growth hormones, Indole-3-Butyric Acid (IBA) and Gibberellic Acid (GA), were administered at three concentration levels (0 ppm, 1000 ppm, and 2000 ppm), to marcots positioned at three crown levels (upper, middle and lower) on five matured trees. The effects of hormonal treatment and marcotting position on rooting were monitored. The variables assessed include root number, root length, root collar diameter and root biomass. Data collected were analyzed using descriptive and inferential statistics at p ≤ 0.05 level of significance. Results show that a total of 66 plant species were found associated with D. edulis, the species were of different structures and classes ranging from woody tree, shrub, climbers and herb species belonging to 40 families were encountered in the study area. Many of the species are of high economic and medicinal values, cultivated species were found to be closely associated with D. edulis. The study shows that D. edulis has the potential coexist with many other species which include the cultivated agricultural crop such as Zea mays, Ipomoea, Manihot esculenta and Occimum gratissimum, it can also coexist freely with many woody tree species. The finding from propagation study reveals that there was no significant impacts of hormone type and concentration on the rooting of D. edulis marcots, however, there was significant difference in the marcotting position on the mature tree. The mean root biomass accumulation was 3.85 g, 6.83 g and 10.37 g for the lower, middle and upper levels respectively along the main bole. The mean number of roots for lower, middle and upper were 11.17, 15.48 and 17.49 respectively. The root length of upper layer marcots was highest (9.56 cm) while lower layers produced the lowest (6.15 cm). The upper section of the main stem produced the best response to rooting, while the application of hormones may not be necessary for marcotting in D. edulis. Based on the obtained results of this research it may be concluded that D. edulis can be compatible with other tree species for agroforestry purpose and can easily be introduced to the farmers that could contribute to regional and local income generation, strengthens food security, improves health care and sequestrate carbon to fight climate change.